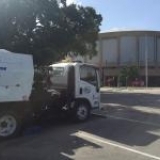 Power washing is a critical component of regularly scheduled property maintenance. 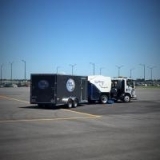 Our specially designed 2012 rig is 100% environmentally friendly. The capture and control of wash water is not only good for the environment, it's the law! 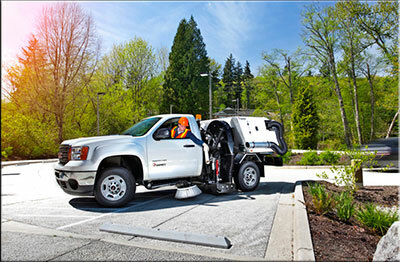 All Star crews utilize modern equipment and apply environmentally friendly cleaning solutions according to EPA standards. If you are looking for just a touch up on your weathered parking lot paint, or an entirely new parking lot design; All Star Property Services can fulfill all of your parking lot striping needs. 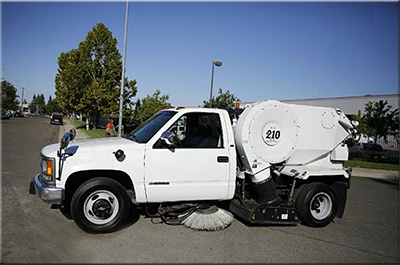 Our services include: parking lot striping, parking lot marking, asphalt striping, and pavement striping. We use the highest quality traffic grade paints. Custom stenciling also available. Our skilled workers can help you with most commercial maintenance needs. From ceiling tile replacement, to removing gutter debris - no job is too small! Please review our list of services: painting, drywall repair, unclog sinks/toilets, ceiling tile replacement, install white boards and bulletin boards, assemble and repair office furniture and cabinets, gutter repair and cleanout. We are currently expanding our range of services offered to customers. If you have a request that is not listed above - please contact us and we will do our best to accomodate your needs! Remember: Our prices are always competitive!